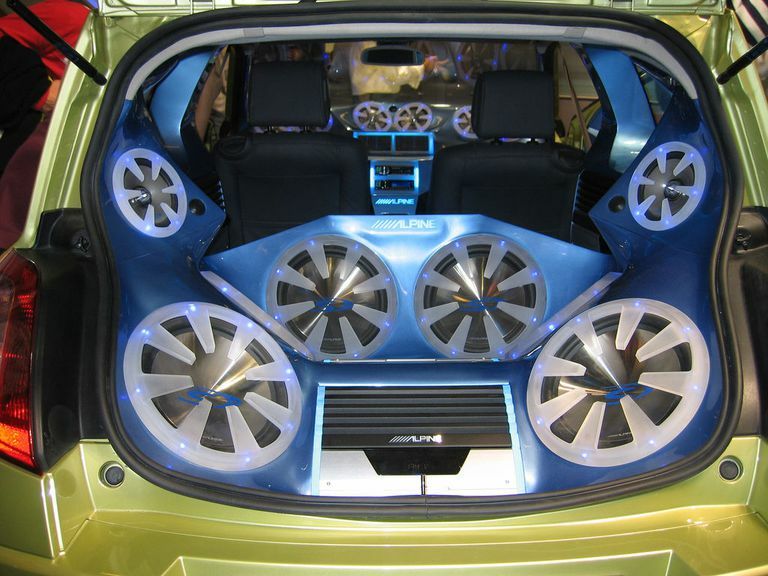 Car audio has been around for almost as long as the automobile itself, and there have been a lot of changes throughout the years. Modern systems are typically optimized for both cost and space, which often means that sacrifices are made in the area of sound quality. Some vehicles do ship with premium sound packages, but even the car audio equipment in those systems can be tweaked and upgraded. The subject of car audio can seem pretty complicated at first, but there are just three basic components that every system has to include. The head unit provides an audio signal, the amplifier boosts it, and the speakers actually produce the sound. These components are highly dependent on one another, and the overall quality of a car audio system is determined by how they interact. At the heart of each car audio system is a component that is typically referred to as a head unit. Most people refer to this component as a radio or a stereo, which are both accurate terms that don’t tell the whole story. Most of these components do include radio tuners, and stereo has been around since the 1960s, but the more generalized purpose of a head unit is to provide some type of audio signal. In the past, head units provided audio signals from 8 tracks, compact cassettes, and even a proprietary type of record player. Most head units now include a CD player, but satellite radio, digital music, and even Internet radio are also popular audio sources. In addition to acting as the brains of the audio system, some head units also include video functionality. These head units are typically capable of playing DVD or Blu-ray discs, and some also have built-in LCD screens. In the same way that a traditional head unit provides audio signals to speakers, video head units can often be hooked into external displays. Modern head units are sometimes also integrated into infotainment systems. These head units typically have large LCD screens, and they are often capable of displaying navigation data, operating climate controls, and performing other functions. An amplifier is the second major component that every car audio system needs. While the purpose of a head unit is to provide an audio signal, the purpose of an amplifier is to increase the power of that signal. Without a power amplifier, the audio signal will be too weak to physically move the speakers and create sound. The simplest car audio systems only have a head unit and four speakers, but that doesn’t mean there’s no amp in the picture. These simple audio systems actually contain a small power amp inside the head unit. Since space is at a premium in many cars and trucks, it’s often necessary to combine the head unit and amp into a single component. Some OEM audio systems include separate power amps but most don’t. However, installing a new amp won’t always provide a huge boost in sound quality. If the speakers in a vehicle are designed for use with the anemic power amp that came with the stock head unit, that area will also need attention. Speakers make up the final pieces of the basic car audio puzzle. Most car audio systems have at least four, but there are a lot of different viable configurations. When a speaker receives an audio signal from an amplifier, the electrical energy of the signal is converted into mechanical energy that causes a cone to move back and forth. That vibration displaces air, which creates the sound waves that we hear. Unlike home audio systems that have discrete woofers, tweeters, and midrange speakers, car audio often makes use of “full range” speakers. That saves on space, but a full range speaker typically can’t put out the same sound quality that a real woofer, tweeter, or midrange speaker can. Some car audio speakers combine a woofer and a tweeter into a single coaxial speaker, and dedicated subwoofers are also available. Replacing full range speakers with components is one of the main reasons people upgrade their speakers. In order to get the best possible sound out of your car audio equipment, it’s vital to pay attention to each of the three basic components. A great head unit might provide mediocre sound without a competent external amp, and a powerful amplifier is useless when paired with factory “full range” speakers. There are a number of different ways you can go about upgrading your car's audio system, but the best approach will depend on factors like budget, the strengths and weaknesses of the existing equipment, and the overall goals of the upgrade. Replacing factory speakers with higher quality units is usually a good place to start, but every project is different.